We have complete design and production engineering capability to provide total job service. We can supply parts from your prints or from a description of your requirement, need or problem. Our plant has complete tool room and die shop facilities to build and maintain all dies required for stamping operations. This also allows us to offer secondary operations such as: deburring, drilling, tapping, milling, turning, grinding, etc. Service Stampings Illinois Inc's large, modern plant is equipped with dependable, accurate, up-to-date equipment and a skilled work force that can meet your production needs with speed and precision. Our large production capacity combined with our extensive "shelf" inventory and efficient shipping & receiving department assures on-time delivery of your job. We also offer outside services from our professional and trusted suppliers. These include: Heat Treating, Galvanizing, Anodizing, Plating, Painting, etc. 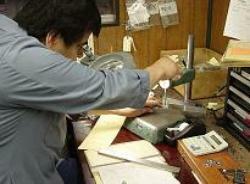 Our Quality Control Department is our customers' representative. A constant testing program is conducted on all incoming materials, as well as all part-in-process to insure that your finished parts will confrom to the required specifications. Certification and Inspection Reports are available upon request. 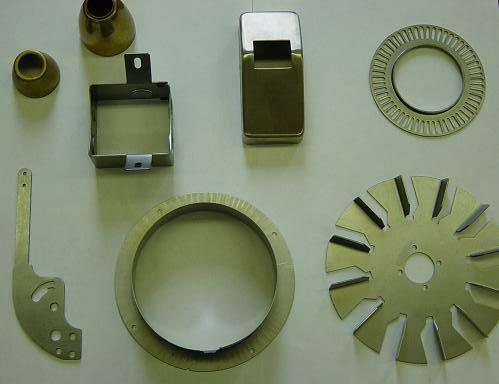 Our Tool and Die Department can build and maintain dies for any project. operation to ensure that all specifications are being met. Copyright 2013 Service Stampings Illinois Inc..